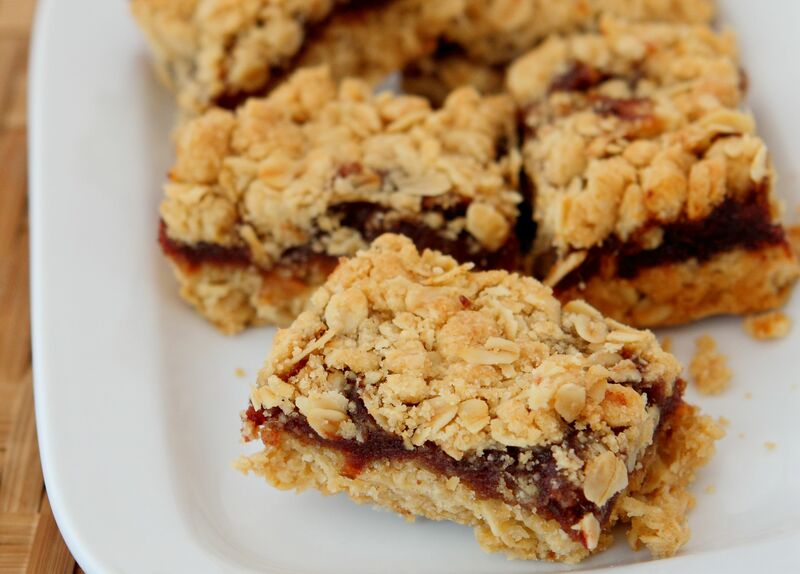 These date squares are sticky, crumbly and delicious. Make them in advanced to consume during your daily Sahur. This recipe was first published in Flavours magazine. Place the dates, water and sugar in a small saucepan and cook over medium heat until thickened to a paste. Add the lemon juice, then remove from heat and set aside. Combine the oats, flour, sugar, baking soda and salt in a bowl. Using your fingertips, rub in the butter to form a crumbly mixture. Line a 9-inch square baking pan with parchment paper and butter it lightly. Press half the crumble mixture onto the base of the baking pan, then spread the date paste over it. Top with the remaining crumble mixture. Bake in a 175°C pre-heated oven for 20-25 minutes until top is light brown. Leave to cool before cutting into squares.